Gift of $10,000 worth of Hesperian titles to the WA prison system. We have given some 15 copies each of 24 titles that are still current books but of which we are overstocked. We need the space. Hopefully some of the prisoners will appreciate good books as a relief from the mind rotting TV. We even gave an extra set for the staff so they do not have to pinch the prisoner’s copies. Starting February 1. For any retail purchase you may have one free book from this month’s list. That is you can have a free book for each book you buy. The downside is that you pay the postage. This month’s free books :- Misfortunes of Phoebe, Golden Land of Silence, All Australians now, Borneo Surgeon, The Thousand Hours, The Growing Up, Thermo-electrical Cooking. Book details on our booklist. Our author Phil Bianchi has received an OAM in the Australia Day Honours List for his work on community history. Phil is a prolific compiler of bush history including on the woodlines and the Canning Stock Route. His new masterpiece on the Woodlines is out now. "Chasing the Dragon's Tale": The full story of the recovery of the wreck of the Gilt Dragon treasure ship. It is important that we get support for our books from our readers. Hesperian does not get taxpayer funding like Fremantle, Magabala and University. I can confidently state that several of these would collapse within days of having their grants removed. Which would be a very good thing. Many millions of dollars have been mis-spent on unreadable novels and plainly irrelevant and obnoxious propaganda. 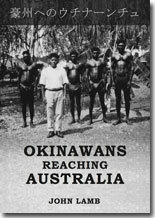 There is no other publisher like us in Australia concentrating on REAL Australian history and people. Hesperian books will stand the test of time. But if we do not get buyer support we may not be around too long after our forthcoming 50 years anniversary. by Peter J. Bridge and associates. With an Introduction by J.M.R Cameron. An important contribution to the history of WA covering all that periods 65 expeditions, including many that were previously unknown. 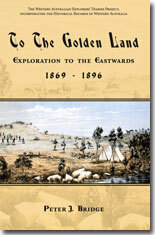 Includes for the first time all the colour plates of Forrest in the 1870s. Over 150 illustrations and maps. 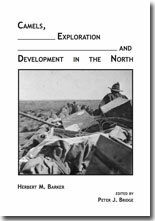 Like our other Exploration Diaries this will become the basic reference in this field. 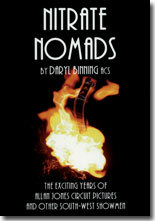 Due to the poisoned arrows of our economy the edition is small, so please do not delay ordering. 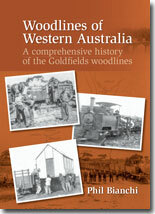 A comprehensive history of the Goldfields woodlines. 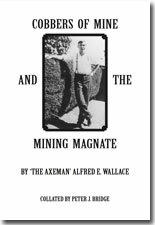 Without a source of cheap energy to fuel steam boilers and for ore treatment, only the Western Australian mines with rich ore would have been productive. Firewood companies established privately owned train lines up to 120 miles out from major centres such as Kalgoorlie to bring in firewood. Although the Kurrawang and Lakewood woodlines are the main feature of this book; other woodlines included Lakeside south of Boulder, Kurramia/Kanowna, Cue, Laverton, Gwalia and Westonia. Firewood cutters, carters and loaders from war torn Europe, came to Australia seeking a better life; they lived in hessian walled basic camps with earthen floors and a tin roof. The book features 22 first-hand accounts of the hardships faced by woodliners working, living and growing up on the woodlines. Many a wife and family joining the husband after a few years were shocked at the conditions; suffering flies, heat, cold, loneliness, maggots in meat and poor quality drinking water. Between 1900 and 1964 a total of 21.6 million tons of firewood had been cut; during 1912-16 average production was 650,000 tons per year. By the time the firewood companies ceased operations they had clear-felled a staggering 3.04 million hectares of goldfields woodlands; almost half the area of Tasmania. Other woodline topics discussed include: racism, riots, internment, exploitation and bribery, shanties, sports days, strikes and deaths and accidents. 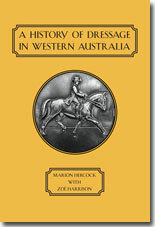 A History of Dressage in Western Australia by Marion Hercock and Zoë Harrison.